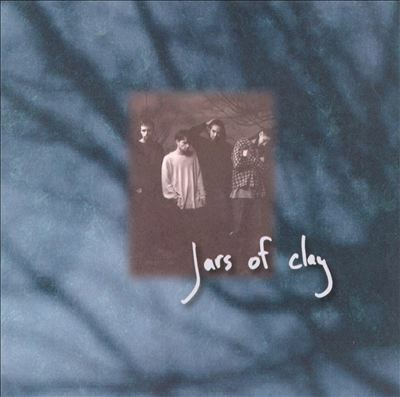 One of my favorite bands is Jars of Clay. When I first became a Christian, Redemption Songs was the first CD I bought. I learned to worship God listening to this CD. Then I bought their self-titled debut album, which contained the song “World’s Apart.” This song speaks to me deeply still to this day. In fact Jars of Clay is a huge part of my daily worship of God. To me this is an obvious mistake. Have you ever told your child, “I don’t care what you think! Just do it!”? You don’t mean that you really don’t care; you just mean that it is beside the point or not relevant to the discussion. Whether or not it was a sin was irrelevant to the topic of how we treat people. Clearly, Twitter is not an appropriate platform for complex discussions. When I read his tweets, I immediately thought that he was working through some complicated issues and needed to discuss them–nothing more. Personally, if he did decide that he did not oppose gay marriage, that would not make me assume he is denouncing the faith or anything else. Some Christians believe that they have no right to impose their beliefs on those who do not share their convictions. Other Christians do not believe that it is actually a sin the way they interpret the Bible. Lots of Christians are confused by these issues and have to struggle with passages in the Bible that go against what our culture accepts. But what seems worse to me is the mean and, in my opinion, Pharisaical response directed toward the band as a result of a few tweets. A couple of days ago, I started seeing shocking posts about “throwing out your Jars of Clay CDs” and all manner of name-calling, “heretic,” “apostate,” “false prophet,” along with accusations that they have always just been “in it for the money.” Shocked, I immediately went to Haseltine’s tweets and waded through more of the insanity, searching for a lucid explanation. As a person who openly struggles with my faith, the tendency for some Christians to lash out and attack their own scares me. It is one thing to point out a mistake or ask what was meant by a certain remark, but why the knee-jerk attack on his beliefs? Just from listening to the lyrics Jars of Clay write, and what they choose to record led me to believe that this was either a new crisis of faith or more probably a misworded expression of frustration in getting his point across, the latter turning out to be the truth. Why are people so quick to jump to conclusions? Doesn’t anyone ever ask questions and wait peacefully for a reply anymore? In my opinion, indignant Christians did more damage to the faith by attacking Dan Haseltine than his misspoken tweets could ever do. I believe there are many reasonable and unruffled Christians who do not immediately turn every mistake into a platform to attack those who disagree with them, but unfortunately, the ones who do are much more visible. While reading the comment thread on Michael Brown’s article “The Shattering of Jars of Clay” on CharismaNews and on Twitter, I could not stop the image of the Pharisees self-righteously throwing accusations at Jesus while harboring murder in their hearts. Granted, Dan Haseltine is not Jesus, but he certainly was not deserving of their hypocritical scorn. By their very words they reveal the redwood tree lodged in their own eyes while they attempt to gouge out the speck in Haseltine’s. I’ve watched a lot of movies and read a lot of stories about people who have had a great awakening or an epiphany and completely rebooted their lives after finding out they have a terminal illness or after almost dying in an accident. I seriously want a reboot. Do I have to get sick or get in a major accident to do it? I hope not. I don’t think I would go that far. In fact, for the most part I love my life. I think, herein, lies the actual problem. I should clarify–I love my home life. I want more time being with the people I love and doing the things that matter. You see, like many people, I am sick of my job. It is slowly, maybe quickly, now that I think about it, sucking the life out of me. It is overwhelmingly stressful. I am not exaggerating when I say that I think it is literally killing me. Isn’t that kind of like having a terminal illness? That is a bit of an exaggeration. I don’t feel ill, and I am not in any physical pain, unless you count the anxiety attacks that keep me awake at night. I don’t have the emotional trauma of knowing how little time I have left. But even though I don’t have a doctor giving me a time frame, I could die tomorrow or next week. With my luck, it would be on a Friday right after work. But I am rudely awakened from this fantasy by the thought of health insurance and retirement accounts and veterinary bills. There is no such thing as carefree. Were we even meant for that kind of life? Isn’t it conflict and struggle that make us thrive? Or at the very least give us the contrasts that make us appreciate the good times? I mean, would I even love being at home so much if I hadn’t just left work? I don’t know, but I would like to try. It’s not like I want to quit working and striving. 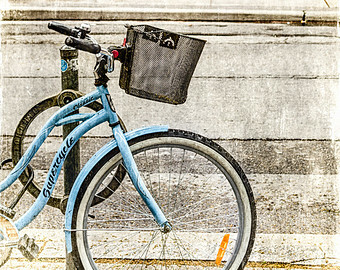 I just want something that doesn’t feel like it’s hurtling me at full-speed toward the grave.